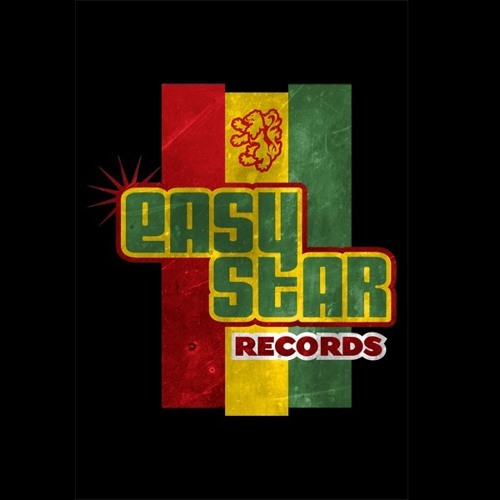 New York City's Easy Star Records has produced three of the best-selling and trendsetting reggae albums around - the Easy Star All-Stars' Dub Side of the Moon, Radiodread and Easy Star's Lonely Hearts Dub Band - while building an international brand that has come to signify quality and class. The independent label has created an impressive body of work that includes those above-mentioned in-house productions, along with progressive recordings from envelope-pushing acts like John Brown's Body, The Skints, The Black Seeds, Rebelution, Passafire, Backbeat Soundsystem, Gentleman's Dub Club, Cas Haley, New Kingston, The Expanders, Tommy T and Ticklah; reissues of classic reggae from the vaults of Sugar Minott and Linval Thompson; new music from reggae legends The Meditations and Sister Carol; and collaborations with international reggae stars like Matisyahu, Michael Rose, U Roy, Luciano, Anthony B, Christofer Martin and Morgan Heritage. Easy Star has steadily built a scene that extends in many directions, following any path where reggae leads, bringing together young producers and musicians, reggae stars, and even artists outside the genre who have been influenced by Jamaican music, like Citizen Cope and blues musician/musicologist Corey Harris. The label manages its in-house musical collective/touring band The Easy Star All-Stars, who have played in over 25 countries on 6 continents. Dub Side of the Moon, Radiodread and Lonely Hearts have formed the backbone of a growing franchise of reggae re-inventions of classic albums; the band is at work on the next installment, targeted for 2011. Easy Star has also developed a strong sense of how to market reggae to both core genre fans and a mass audience, leading to work consulting on marketing for albums such as Gov't Mule's Mighty High. Easy Star's musical director Michael Goldwasser produced albums for Corey Harris and Israeli band Hatikva 6, as well as remixes by Umphrey's McGee and Rebelution, bringing the Easy Star sound further outside the family. And Easy Star has raised its profile as a lifestyle brand with events such as Easy Star Reggae Tuesdays, which was one of the longest-running weekly reggae parties in New York.